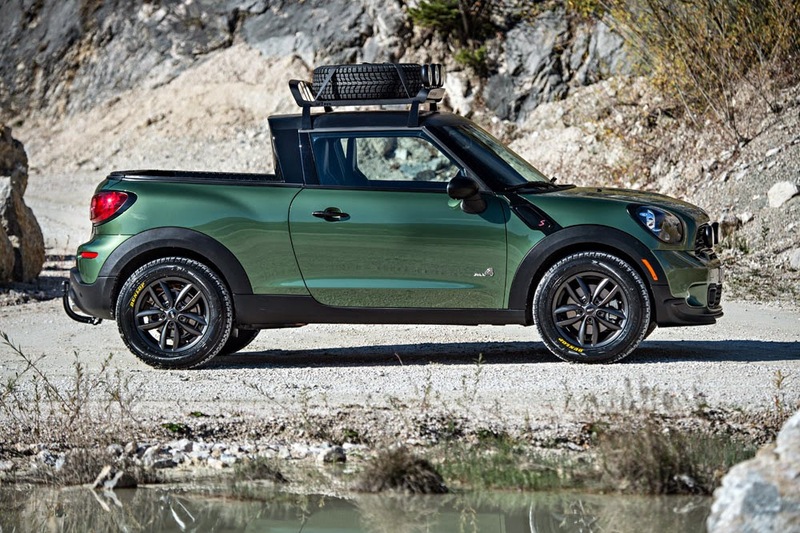 The MINI Paceman Adventure: Off-Highway Contender or Dirt Road Pretender? MINI released this little concept this week: The MINI Paceman Adventure. It basically takes the two-door Paceman All4, removes the back half, and makes it into a pickup. There's all-terrain tires, a roof-rack, and even an intake snorkel for, according to MINI, a "challenging river crossing." In addition, there's a modified suspension to help soak up the extra bumps off the highway, more ground clearance, auxiliary lighting, and the spare tire up on the roof. At first, I thought this was pretty cool. I'm a big fan of adventure vehicles—cars and trucks that let you "get out" a bit farther than most people. I like the color and the wheel/tire combo. But then I got to thinking about it. 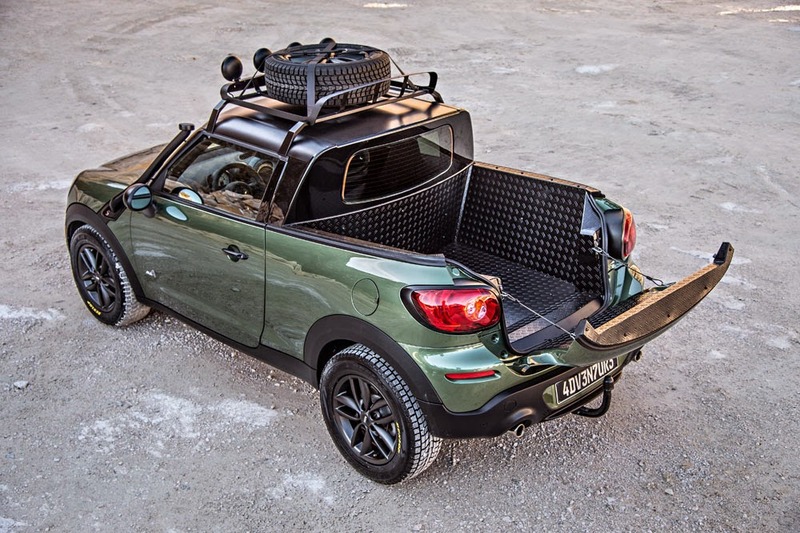 The idea of the Paceman Adventure is great: A go-anywhere go-more places AWD MINI with a pickup bed and some add-ons that make it look like it's ready for a cross-continent expedition. However, from a practicality standpoint, it would'e made much more sense to simply take a regular Paceman, remove the rear seats, and give it the "Adventure" treatment. I mean really: What are you going to do with that bed? You can hardly put anything in it, and what you could put in it is going to get wet if it rains. Many people that are into the adventure lifestyle are also into the gear. The MINI has some gear bolted on, but where are you going to put your tent, stove, cooler, and backpack? I am a fan of giving cars the "rough-road" treatment, a term I first heard on Expedition Portal. (Think Subaru XV Crosstrek. Think Jeep Renegade.) Think regular vehicle with more ground clearance and a bit more capability. 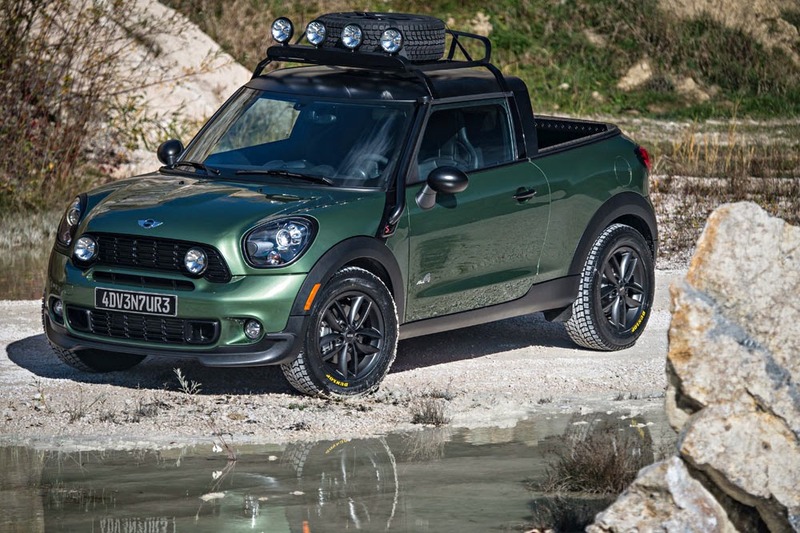 I think MINI could've made a legitimate case with the Paceman Adventure if they had just kept it as a mini SUV-like vehicle instead of a pickup configuration. While I do have to give MINI credit for stepping outside of its smallish box, I think that the MINI Paceman Adventure is more of a pretender than a contender. It's a bunch of bolt-ons, a useless bed, and a few visual differences that try to make this MINI look like a mountain man, when in reality it ends up looking more like a poser that's just left REI. Is that a wee snorkel I see?